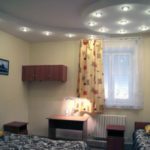 In Belarus in Minsk dormitories are located in campus. There are 2 main options for housing: block or apartment. Block housing consists of 2 separate rooms and bathroom. 5 people can live in block. 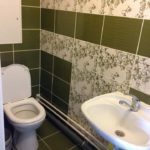 In an apartment housing 2, 3 or 4 persons live in the same room and share common bathroom. In every floor there are kitchens. Students can easily cook their meal. Also students can benefit from cafes which are located near dormitories. The entrance and the exit are regulated by supervisors. Dormitories are located close to university campuses. The hot water is provided for students for 24 hours. The heating system works in winter period. The Wi-Fi system is installed in every room. It is our prime goal to provide calm and secure conditions while you study Russian in Minsk. The students from China, Germany, Kazakhstan, Turkmenistan, Azerbaijan and Turkey are staying in dormitories. Our main goal is to provide best housing conditions while you are taking education. There are 3 dormitories which belong to university. 1. Dormitory- which is the oldest one- is located in Masherova street. 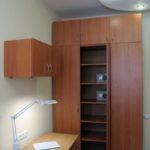 According to the agreement with the university our students stay in new dorms. New dormitories are located in Derjenskogo stereet, which is the closest to the train station. Also several other university dormitories are located in this area. Dormitories are located close to 2 shopping malls. The shopping malls include bank, cafés, restaurants and pharmacy. Between the dormitories and the campus there are 6 metro stations. The entrance and the exist of dormitories are watched by supervisors day –and -night. 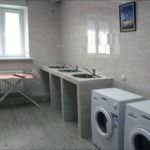 Rooms of the dormitory in the form of block; one room is for 3 and the other is for 2 persons; bathroom, kitchen and toilet belongs to 3 persons of the block. There are 2 dormitories which belong to this university. 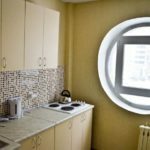 The dormitories are located in 500 m from metro. 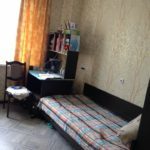 The dormitories are small but comfortable; they belong to the private university. Students stay in room which includes 2, 3 or 4 persons. Banks are supermarkets are located close to dormitory. The entrance and the exit of dormitory are controlled by supervisor for 24 hour. Between 0:00 and 6:00 a.m. the students are not allowed to enter or to exit. 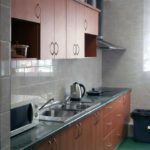 The dormitory offers Wi-Fi, heating system, fitness center and common kitchen.